1. By the time you read this post, I am already in Bali. It's my very first trip to Bali and I hope I will have a great time there! I will be back some time next week so in the meantime, I will be missing all of you and your blogs! For those of you who are interested in using feng shui to attract wealth, you can activate your wealth star between 5am-7am at the NorthWest or East sector of your home (except if you have a Snake in your Bazi Chart). For more details, you can read my post Feng Shui 2010 According To Joey Yap. 3. Yippee!! 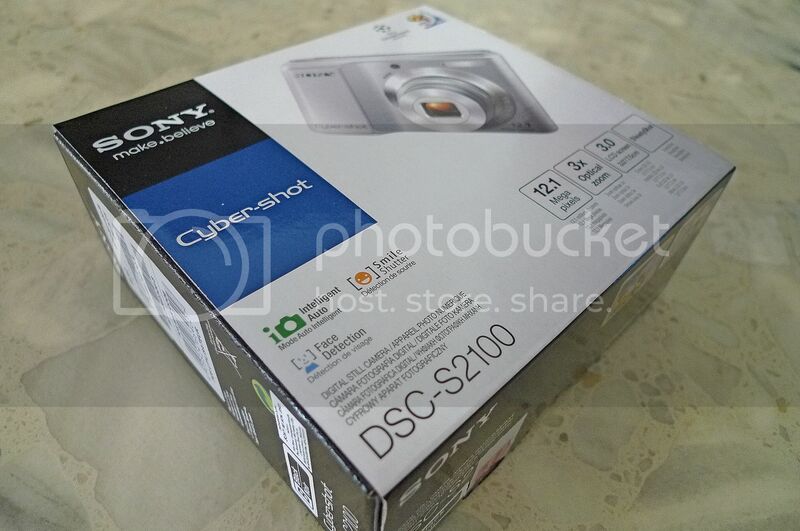 I won a Sony Digital Still Camera from Standard Chartered recently. I happily went to collect the camera at The Curve yesterday. 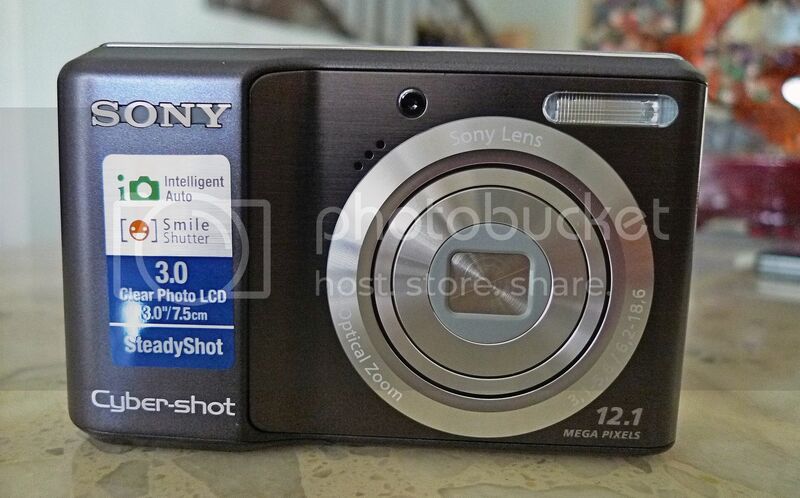 What do you think of this camera? 4. 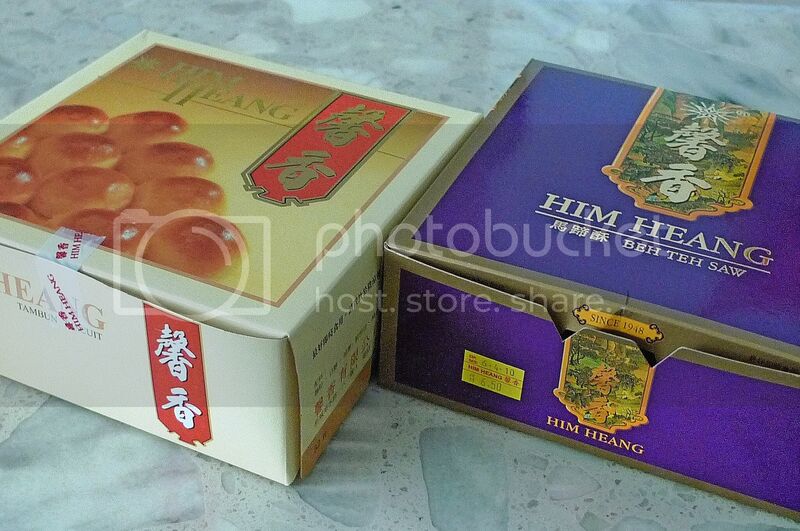 Do you like Him Heang biscuits? A friend bought me these two biscuits from the one and only Him Heang outlet in the world, which is at Jalan Burma in Penang. On the left is the famous Tau Sar Pneah and on the right is the delicious Beh Teh Saw. 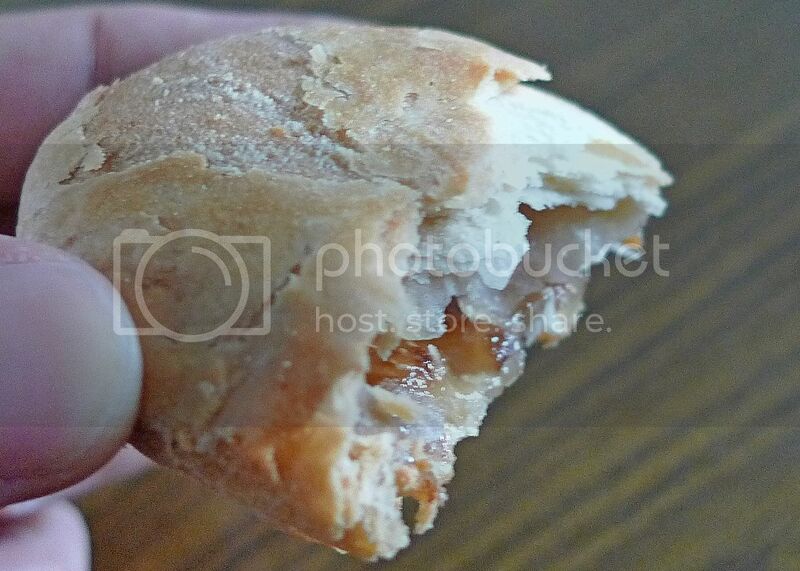 The Beh Teh Saw biscuits were individually wrapped. There were 8 pieces in a box priced at RM6.50. I took a bite of the Beh Teh Saw and it was yummy!! 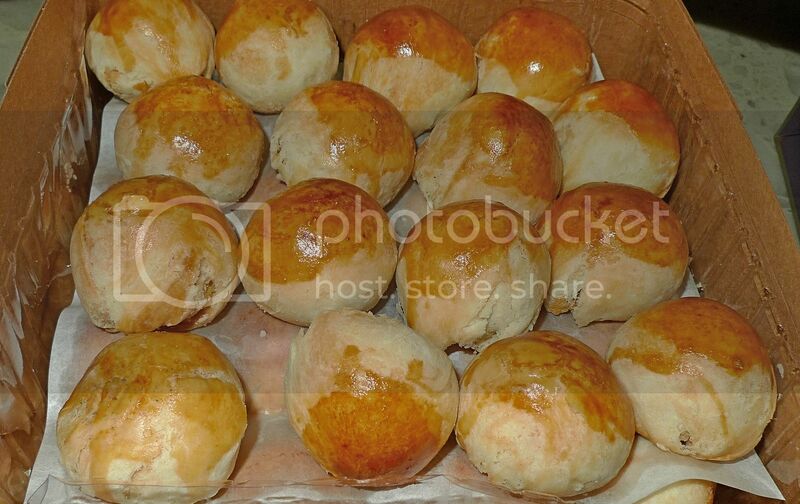 I also adore the Tau Sar Pneah or Tambun biscuits as it's popularly known. Unlike their rival Ghee Heang, Him Heang's Tau Sar Pneah are much nicer and they melt in your mouth. Simply yummy! Here, let me magnify so you can drool over it, haha! 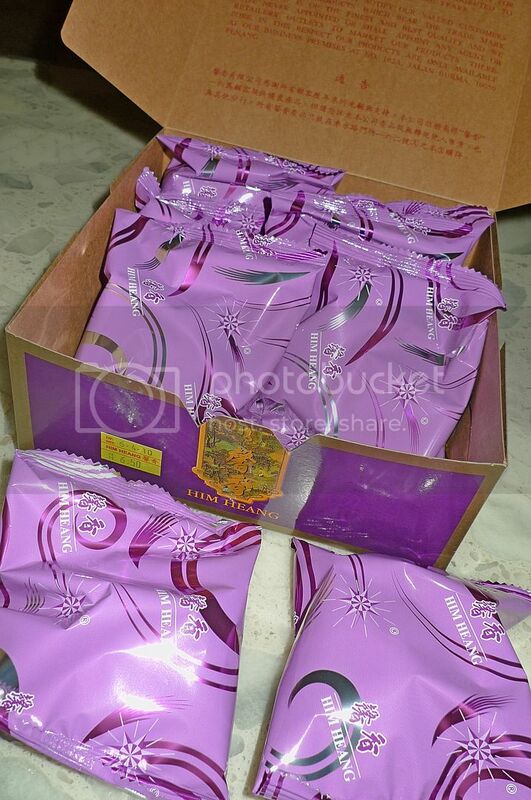 Each box of Tambun biscuits contains 32 pieces and is priced at RM9.50. 5. 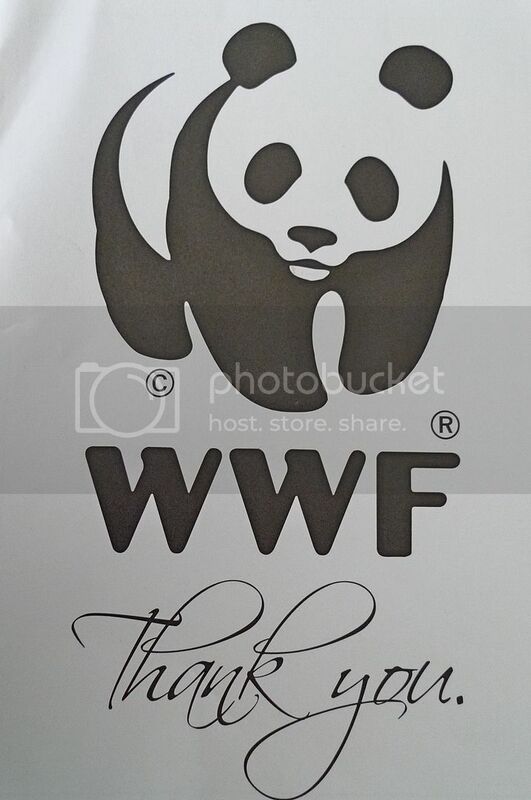 Recently I received a Thank You letter from WWF. It's always nice to receive a Thank You letter, don't you agree? I donate to WWF every month as I believe in saving the animals and the endangered species. And also because I am a panda. LOL! At first, I thought donating to organizations like WWF was a waste of money because most of the money would be given to the marketing company that runs the fundraising, but it is now confirmed that WWF receives the entire amount of our donations. The marketing company only get a one time fixed fee from WWF's pre-allocated fundraising budget. So if you like to donate and save the animals, please click HERE. 6. 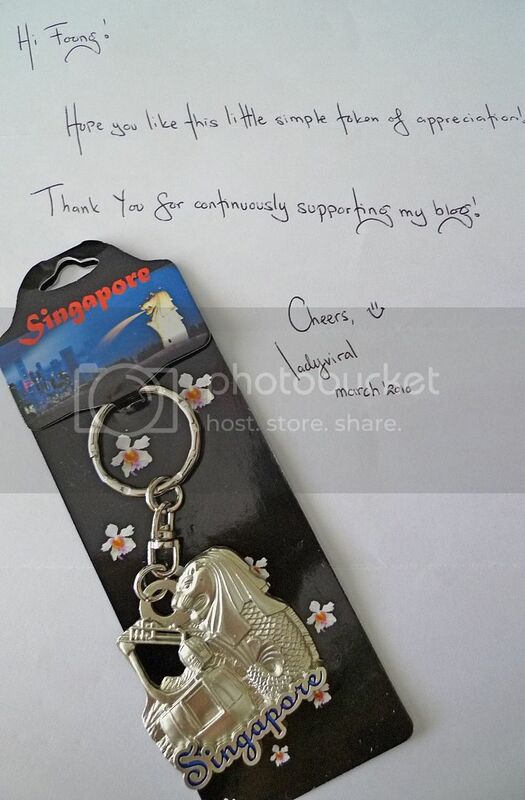 Recently, I received a surprise gift from blogger Ladyviral. She's now in Singapore so it's no wonder she sent me this! 7. Since I am in Bali now, I am going to shop around for some souvenirs. I am going to give away these souvenirs to 3 readers who leave the most comments on this post and the next upcoming post scheduled on March 27th. - All comments must be related to the topics in the relevant posts. Comments that are not related will not be counted. - Winners will be chosen based on the total number of comments they leave in this post and the next upcoming post on March 27th. - You cannot leave more than 10 consecutive comments at one go. The 11th comment and thereafter will not be counted. If you have more things to say, take a break and return later to leave more comments. - This contest is open to everyone from anywhere in the world. - This contest ends on 11.59pm on 29th March 2010. PS: I am going to announce the 3 winners of my Versus Tag (Najib vs Mahathir) contest in my next post. If you participated in that contest, stay tuned! You might just be one of the lucky winners!! Oh wow..holidaying again! :) Enjoy your trip. aiksss..i m too late! 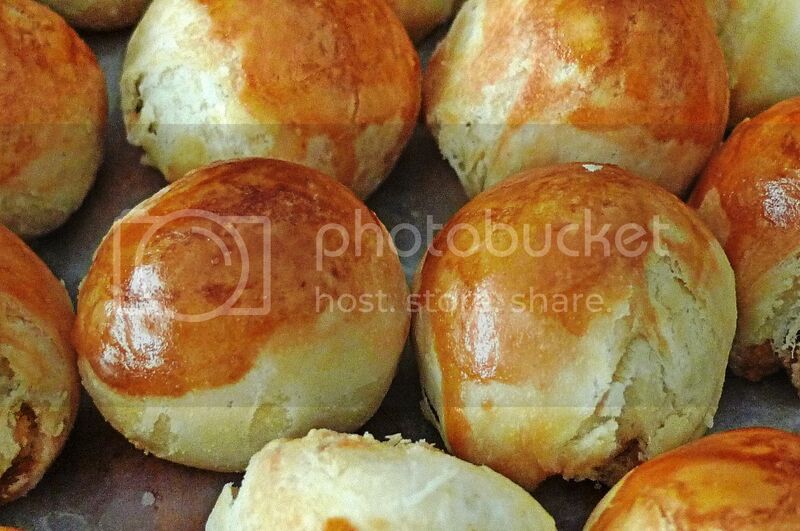 my blogroll says 23 minutes... mei teng is quicker.. hahahaa.. ok, now go read your post! ok finished reading.. so u r in bali now.. happy traveling!! another contest again? seems got contest each time u go aboard.. hehehe.. in that case, do go more often.. but then i dont think i can win with the most comments! anyway, hope u have a nice wonderful breakaway! Uwahhhhhh in Bali edi with ur new blue luggage!!! Have fun, take lots of pics and stay away from scary stuff ha ha! wow. enjoy your time in bali. very clever of you huh, prepare a few scheduled post before you went off for holidays.. most people will just gone MIA while they're on holidays..
so how many days are you going to spend in Bali?? certainly i will be missing you as well as you miss me too, hehehehe!! 1.Bali pigi eh have fun..
3.See the rich getting richer those with few cameras get another new camera those like me without a camera..so how *pls read between the lines* dont mind your old Lumix *ahem*. 4.Him Heang vs Ghee Heang, oh Gee, I will follow Him. 7. Ello how come this time I did not see any invitation for bloggers to go with you to Bali? Been to Bali 4 years ago. The weather there was SO TERRIBLY HOT. But managed to survive. haha. Nice beach. hey foong, you really are very keen on the fengshui thing huh?? but why can't you do it in Bali?? ooopsss, sorry i missed out reading the keyword, you must do it at the NW or E sector of your home.. hahaha!! "pai seh"..
the next round would be in June 9th?? that's very long from now.. jsut curious, is 5am-7am the only good time to do this wealth star activation?? I don't really like to eat heong peng o. :p Well...because it will stick to my teeth? Oh you're going to Bali for the first time eh! Must go Uluwatu and Tanah Lot ya... beautiful! don't complain so much about the camera foong, since it's free ok?? and this one looks good enough to me..
btw, i heard that sony cameras are not bad and especially good in taking night mode photos.. have you tried that out yet?? hey, give me five!! i am also using panasonic lumix.. but i think my model is F15, lower class than your LX3.. but still i think it takes good quality photos.. am contented enough with that.. Enjoy your Bali trip! Waiting for your post about your holiday. Have fun in Bali. Take plenty of photos and buy lots of souvenirs! hey you know what?? tau sah pneah and beh teh saw are two of my favourite snacks!! and gosh, you are blogging them both at once, right in front of my eyes..
so who bought you these two boxes of pastries?? looks like you've got lots of friends who always get you things.. so envy of you..
oh is it?? Him Heang has only got one branch in the world?? i thot since they are doing so well, they must have lots of branches already, never did i expect they insisted only one shop!! seems like most of your readers are so Kia Su... anyway, i don't think i wanna to participate in the contest. because i always worry that the money will not reach them.. but since you've shown the personalised thank you letter, that ensures the money does go to WWF to help save the animals..
actually i've planned to do something similar.. maybe not to WWF, but instead to UNICEF to help the children in poverty countries.. help to feed them with food and water, and also free education..
see see see.. my statement above about you being popular among friends is just so right!! another gifts you received from friends..
so sweet of ladyviral also to have get you guys some souvenirs.. i think she's doing quite well in singapore, but certainly misses you a lot eih?? hmmm, so i guess this is not the first time you got something from ladyviral right?? or did i remember wrongly that you also sent her some souvenirs before?? hmmm, while i've missed the previous round when you went to Guilin, and the last round on guessing the Genting Skyway contest.. so, i think i'll actively participate this time round..
wow, so many rules being set huh?? but i think you should also set the number of words requirements in each of the comments right?? just to be fair that no one plays a trick on this..
yes, i think i'm gonna spam your blog with comments for these two posts then!! i'm very eager to get the prize from you, for at least once, hahaha!! Aloha from Hawaii my Friend! Have a great Balinese holiday bro. Congratz for winning camera now you got two what you gonna do about it auction to the *lowest* bidder hehe? What a relief and happy to see Him Heang and lot more shops opening in Penang. Those days becoz of monopoly we are at the mercy of Ghee Heang, have to beg and see their "face color" just for *one* box of Tau Sar Pneah. They require a three days advance reservation. I empathise with those rejected customers who would only walked out of Ghee Heang with a common universal language even Ukrainian or Australian would understand as it goes like this %$#@*&^%(*&..
Nice of LV to reward you with a Merlion keychain and keep your compassionate fire burning and the funds rolling into WWF to save the animals & endangered species. thanks. I usually do not comment a lot! But this time is exception, ok? I want to win prizes from Bali! Not bad at all at 12.1 mega pixels! You should bring it along with you to Bali. Take a shot with both cameras and compare. I like the Tau Sar Pneah. Looks nice and delicious! I am under the similar auto debit donation program as you. And I did receive the Thank You letter too! But I did receive 1 more thank you letter than you cause I donate to 2 organizations, i.e. the UNICEF and NKF. Now I know why we can click and be travel partners even we did not know each other before. Cause both of us have benevolent heart, haha! Am I right? Am I right? Talking about WWF, did you switch off last Saturday night in Bali for Earth Hour? I did! Don't say this is unrelated as Earth Hour is organized by WWF. Oh Merlion! I have not been to Singapore for ages liao. 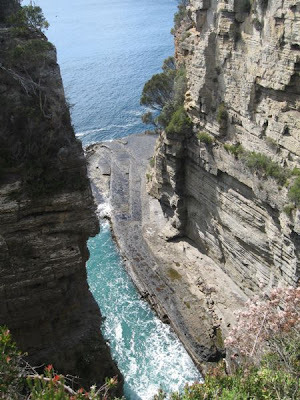 I last went there more than 10 years ago. But Singapore is not in my list to visit. I think Singapore is just a shopping paradise, nothing much to offer. And I hate shopping the most! Enjoy your Bali trip and do bring back lots of photos to share with us here! haha my mom really woke up at 6am and activate the wealth star! Salute! i've been to Bali before, but was like more than 5 years ago.. ah, i remembered, just one week before the tsunami!! wasn’t that scary?? i think i might be visiting Bali again.. Tanah Lot, Uluwatu, Ubud, and i think we missed one place where you see lakes and temples.. and of course we also missed out the famous babi guling!! how could we?? hmmm, i wonder if i have left enough comments in order to win your prize?? never mind, i'll keep monitoring.. this time i allow no failure again!! yes, bravo to me!!! if you're used to Him Heang or Ghee Heang, then you'll probably go back for them. after awhile, i realised i'm not that fussy with the biscuits & tried out other brands as well. taste the same to me & cost cheaper, too, esp the ones sold at chowrasta market. LOL at SK and his quest to win this time. You go, SK! I know you will win a prize one this time. haha..
Foong, CONGRATS on winning the camera. Very nice..
Hey, thanks for the reminder on the wealth activation. Helpful for people interested. Let me guess.. you must have contributed to save the panda. Kudos, Foong! I hope you have a great holiday celebration with your family there. Congrats to win the camera. I'm waiting to see some nice photos of Bali, plz share on your blog. Your biscuits seems very tasty. I appreciate you for donating to WWF, the key chain is so beautiful. Thanks for sharing, God bless you. Have a nice trip. I'm Giving Up On Blogger!